Georgios Kolivas studied law at the universities of Freiburg im Breisgau and Thessaloniki (Greece), specialising in criminal law. He completed his legal clerkship, also specialising in criminal law, in the Karlsruhe high regional judicial district, whose headquarters are located at the Mannheim District Court. During his legal clerkship, Mr Kolivas worked at the Mannheim Public Prosecution Service, at one of Germany’s leading economic criminal law firms in Wiesbaden, and at a Mannheim-based law firm specialising in criminal law, where he also worked as a legal associate. As a prosecution representative at the Mannheim Public Prosecution Service, he additionally presented charges before the court, and completed further training to become a certified compliance officer. 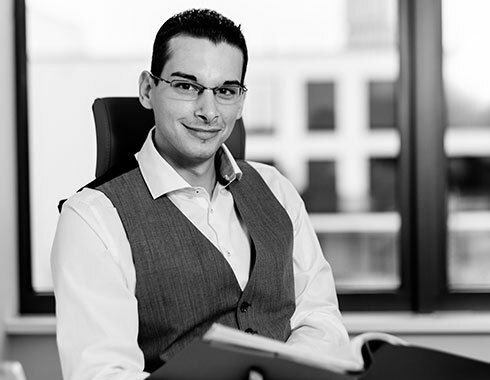 Following his legal clerkship, and once licensed as a lawyer, Georgios Kolivas worked at a renowned Mannheim-based legal firm specialising in criminal law, before deciding to open his own firm. His philosophy is to assess each case on its merits, and work with the client to develop an optimum (defence) strategy. Every process and problem is unique, meaning no schematic solutions can be applied. Mr Georgios Kolivas can work for you in all areas of (economic) criminal law and criminal compliance. With his extensive expertise, passion and discretion, he fights for your interests.